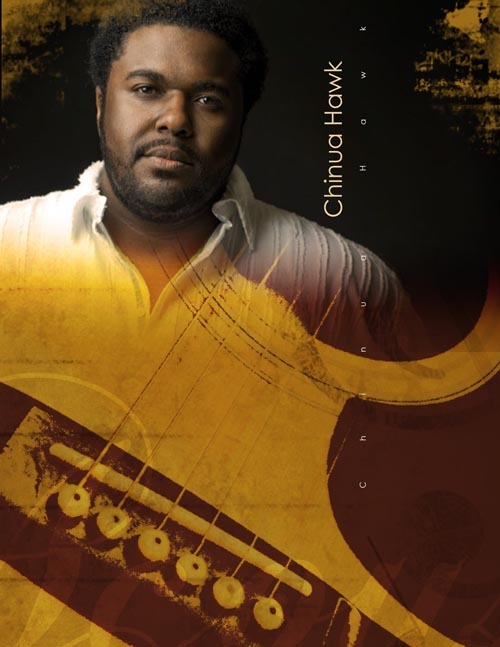 Singer, Songwriter, Entrepreneur, just some of the words that can be used to describe Chinua Hawk. Although Born and raised in New Jersey and now residing in Atlanta, Chinua considers himself a "citizen of the world." "My music is for everyone. I listen to everything, all kinds of music, so it comes through in my writing. My goal with every show is to have the audience leave feeling better than they did when they came in. I want them to forget their trouble for a little while and just enjoy themselves." He connects with his audience on a personal level by sharing his personal struggles with them and using those struggles to inspire others. "I just want people to know that they are not powerless! You can overcome any obstacle. You just have to have the willingness to work at it."